I'm searching for these items. If you find one, please email me: openmindfashion@gmail.com --and we'll break out the bubbly! Did you know you can wear a lace, tulle, or light crinkle skirt almost year round? Just wear it with a sweater fall and spring. Love the pairing of heavy and so light! 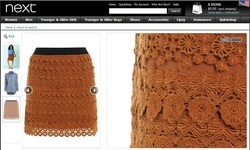 I've been frustrated since some of these skirts are unavailable, too expensive, or only offered in a couple sizes. Seen any others out there? 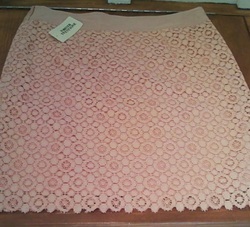 Comes in light pink (shown) and off-white. I plan to wear it with a long gray or cream sweater, belted. 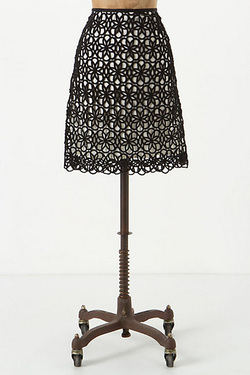 Ann Taylor carries a few knee-length lace skirts including one in burgundy. 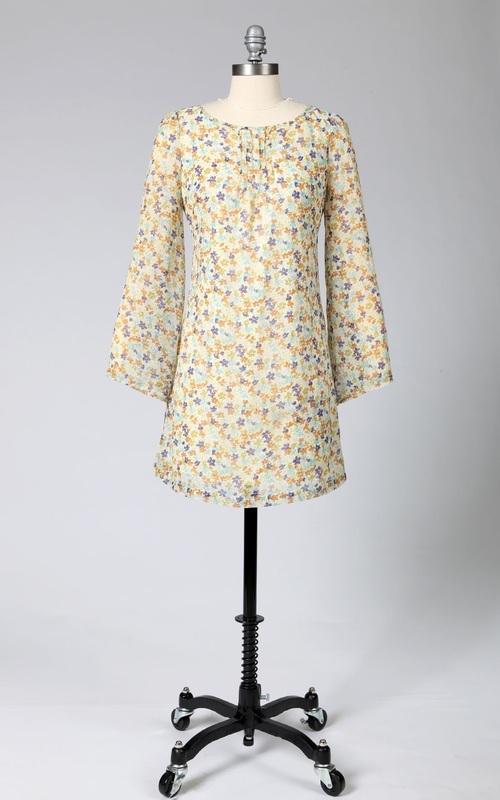 Tops, sweaters, dresses, yoga clothing...I love anything with bell sleeves. Only $4.25 from Wet Seal! Cold shoulder tops are popping up all over and why not? Bare shoulders look great no matter what your size or age. Ideally not in red, black (Alloy), bright blue (Boston Proper), or floral. Must be affordable. Venus offers a cold-shoulder turtleneck--that's a little higher neck than I had in mind. Venus has a couple others that are a little too low-cut for me. Love Culture has lots of cold-shoulder tops & dresses--search: "coldshoulder"
The one below isn't bad, but I don't want black. Too silvery for me. Pretty nice otherwise. Maybe both these from Boston Proper are a bit too dramatic? This sweater from Victoria's Secret works for me! Not quite what we started with, but I like it, and the price is right! Runs small, size up. Ideally, the shirt would have a small collar. It might have a small print on it. Classic, slightly vintage. This shirt is on its way there but not quite what I had in mind. 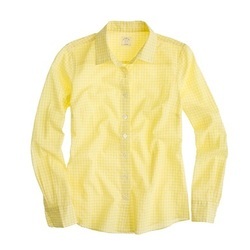 The color is too yellow vs. mustard, and I'm really hoping for polka dots, not gingham. Almost perfect! But I'd like mustard please.